Exquisite perfection in direct oceanfront living! 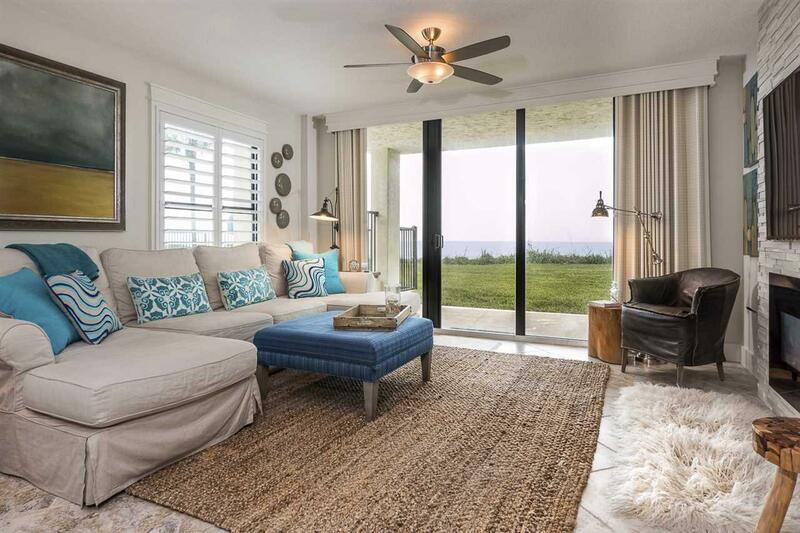 Coveted corner unit offered for sale in Sand Dollar III, the crown jewel of St. Augustine's pristine Crescent Beach. 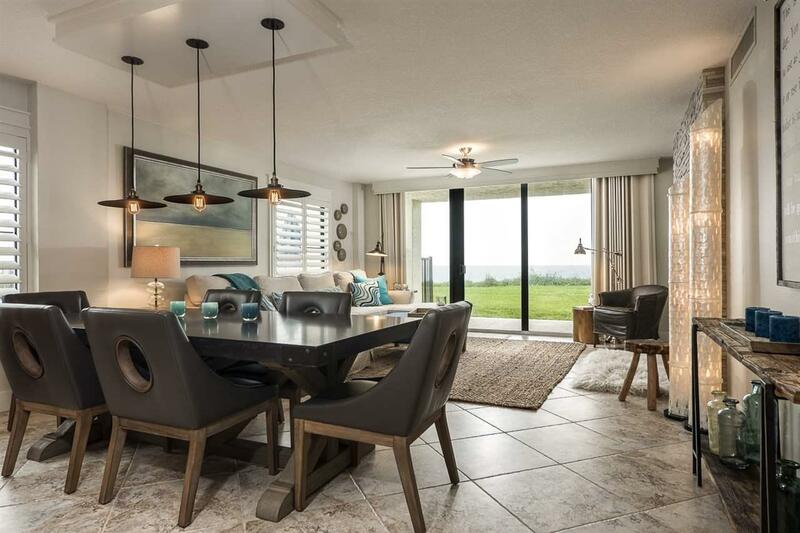 Enjoy the panoramic views up and down the beach from this unit, where the ground floor sits high atop the dunes and a grassy lawn beckons from your oceanfront lanai. Soak in the sun by the pool that offers the same extraordinary vistas. Walk just 70 steps from the pool to feet-in-the-sand on the broad white sand beach. This fabulous 3BR/2BA condo could be taken straight from the pages of Coastal Living magazine. Enjoy easy living with the beautiful Italian tile that runs throughout the entire condo. 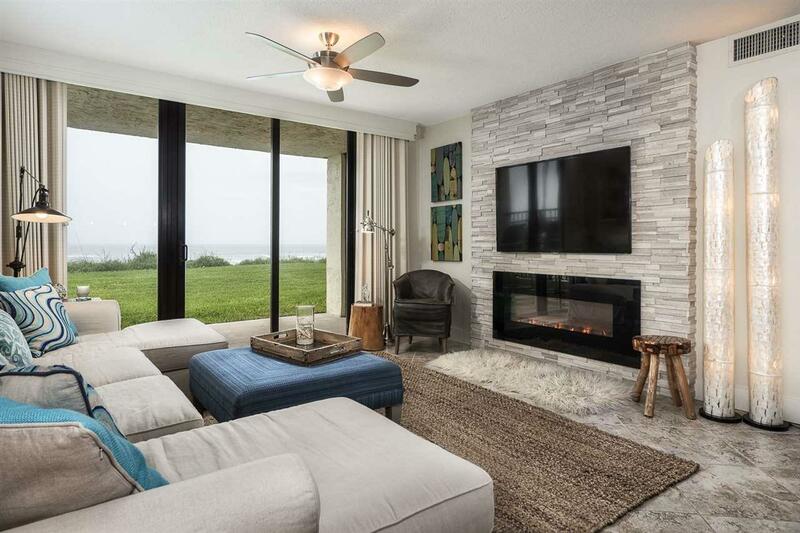 Curl up by the LED electric fireplace with its architectural split-stone surround and flat screen TV. At every turn of this special home, you will find incredible attention to detail and perfectly executed design. The remodeled kitchen offers solid wood cabinetry, soft close drawers, upgraded lighting, and quartz countertops. The private owners suite is directly ocean front, offers its own access to the beachfront lanai, and features a generous walk-in closet. Two additional guest rooms are arranged in a split plan for maximum privacy. High end window treatments, custom designed window casings, door trim and valences run throughout the condo, which also features solid slab custom-stained contemporary doors. All lighting in the unit is dimmer-controlled. Ample storage space is found throughout, with a large laundry room and multiple linen closets. 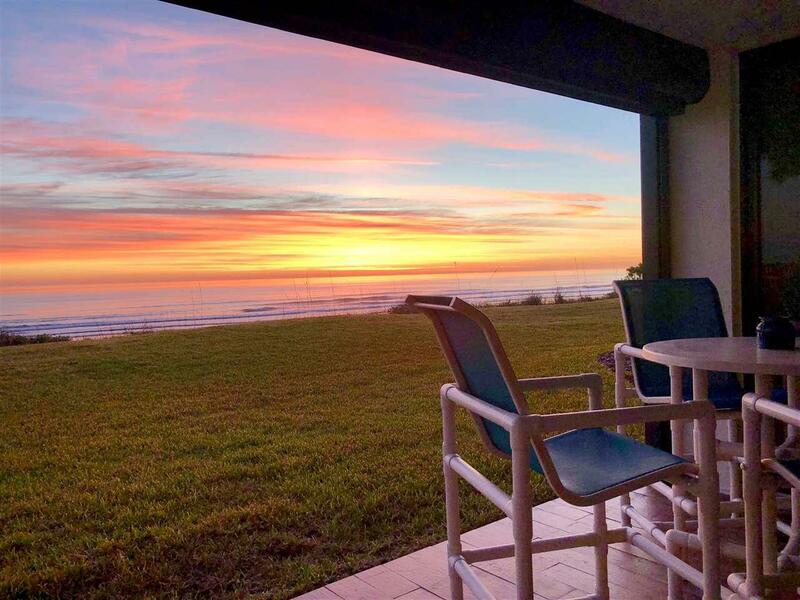 Sand Dollar III has on-site, full-time management, allows dogs (certain restrictions apply), and allows minimum two-week rentals. This top-managed community features beautifully maintained grounds, a covered parking garage, additional outdoor guest parking, elevators, tennis court, basketball area, BBQ area and owner storage closets. Come and see oceanfront beach living at its very best! Seller is a Florida licensed real estate agent. Listing courtesy of Bosshardt Realty.